Mr Dombroski is a college student from Saint Joseph’s University in Philadelphia, and was visiting the island for a rugby tournament. 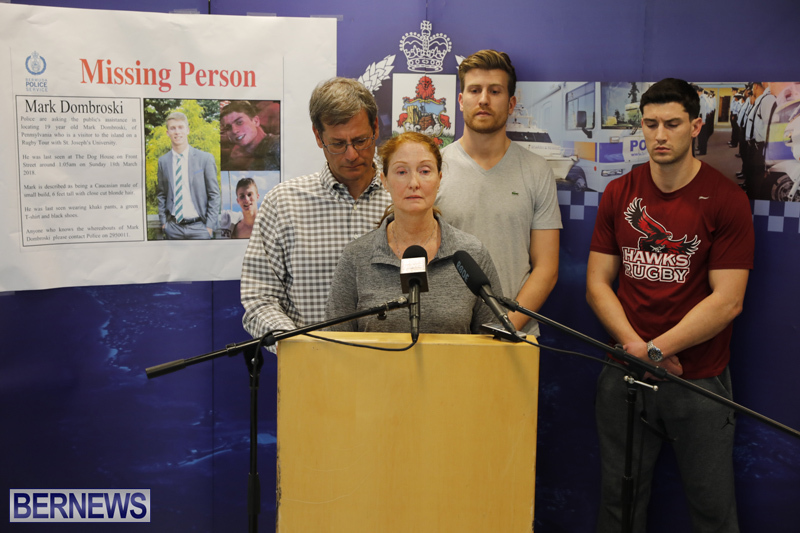 He has not been seen since approximately 1.00am on Sunday, and his family have flown in, as police continue to search for the college student. Speaking at a press conference today, Lisa Dombroski said, “My name’s Lisa Lynne Dombrowski. We arrived at your beautiful island of Bermuda on Wednesday. “My son, my wonderful son, my cherished son, Mark Dombrowski, is a member of the St. Joe’s University rugby team. He’s a freshman. He’s 19 years old. He was participating in a rugby tournament here. 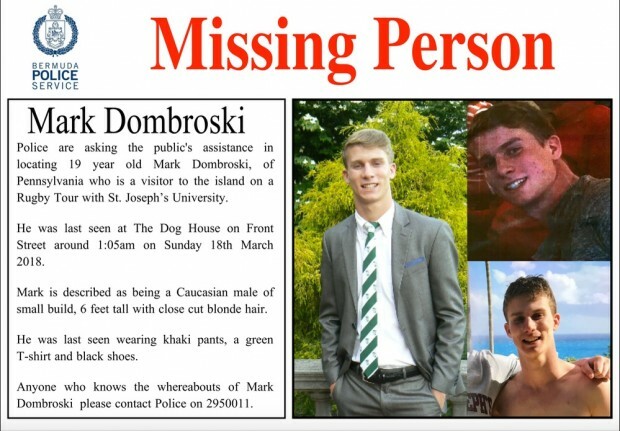 “As of late Saturday night, early Sunday morning, Mark went missing. We dearly love our son. We cherish our son. My other sons, my husband, we love him dearly. We want him back. “We thank the citizens of Bermuda. People have been with us, shoulder to shoulder, throughout this ordeal. They’re helping us. They’re with us. “The citizens, the police, business owners looking at surveillance cameras for 10 hours are helping us trying to find our son. We dearly want him back. We ask if you could please, if anyone has any bit of information that might be relevant, please, please contact the authorities and help bring our son back. Anyone with any information, at all no matter how small, is asked to contact the police on 295-0011. Police have also specifically asked to speak with taxi drivers who may have provided rides to any of the visiting rugby players, and also asked people to check their security camera footage. For our ongoing live updates please click here.